Cool blues and aqua shades combine to give a lovely fresh feel to this Ahoy Moses bedding set. A lightweight palm Moses basket complimented with cool blue Ahoy dressing. 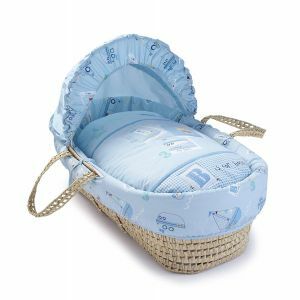 Perfect for a baby boy's first bed, the character bedding features a sailor puppy on a nautical adventure. 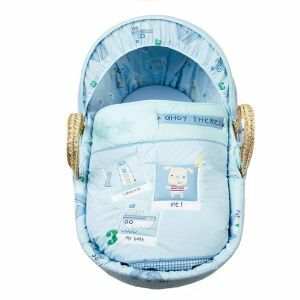 The matching blue canopy allows you to easily keep bright lights out of your baby's eyes and away from their skin, creating a cosy and cocooned sleeping space. 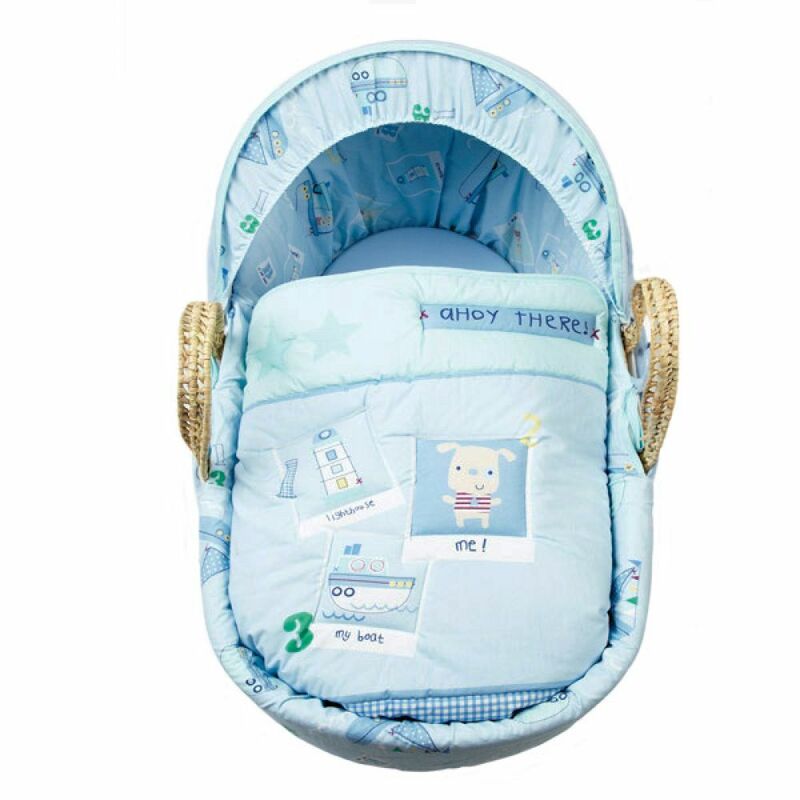 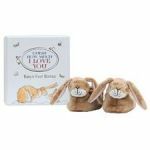 Comes complete with an adjustable, removable hood, padded liner that covers the interior walls of the basket, two carry handles, coverlet and mattress.